It’s time to get better and start preparing for an improved golf game in 2018. 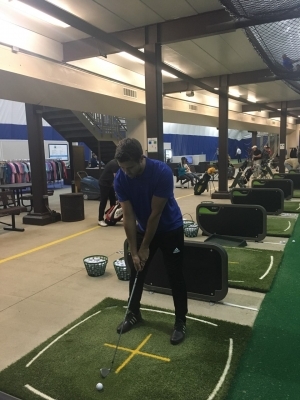 If you take the time to read the blog, the real goal that IS attainable is to take the golf swing you have and improve it so that it is more efficient and has a greater margin for error. 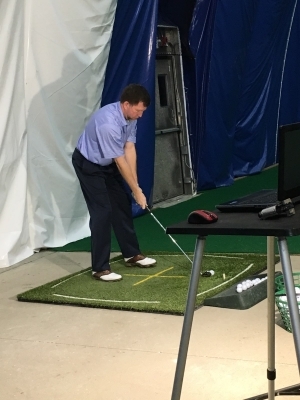 What I have experienced over the last dozen years is we enjoy the greatest gains in improving a person’s swing pattern indoors, while working at the dome in Buffalo Grove. I am always trying to figure out why things work the way they do. What I have come to understand through experience, is that when you take the result and the need to perform away from a person for a period of time, the player is more open to making the changes they need to improve in a lasting way. The reality, if you read the previous blog, is that you need enough correct repetitions for your subconscious to trust anything whether it is a preshot routine change or an inswing change. In a perfect world, I would have all our students working hard during the off-season so that whatever changes need to be made have a chance to be ingrained at the subconscious level. This way they have a chance to stay with a player when they want and need to perform on the golf course in season. 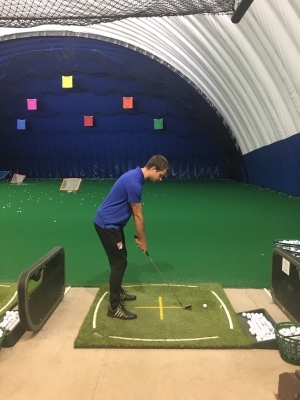 The other thing I have come to appreciate at the Buffalo Grove Dome is that it’s convenient and easy to work on someone’s putting fundamentals. Fortunately for us, the Buffalo Grove Park District, invested in a brand-new putting green built by the company Tour Greens Chicago. 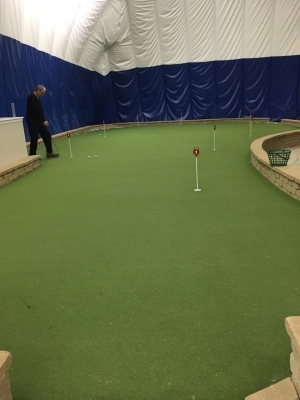 The new putting green is much larger where people can roll putts up to 60 feet so that they can work on their distance control There is adequate break so that people can be taught to read the break of a given putt and learn to line up properly to the start line. The green rolls at a 10.5 steep so it transfers well to greens that are typical of today’s industry standard. The bottom line is that working in the offseason at the Buffalo Grove dome provides us the opportunity to improve someone’s techniques in all parts of their game so that they are ready for a great 2018 season. Call 847-549-8678 to make an appointment now.